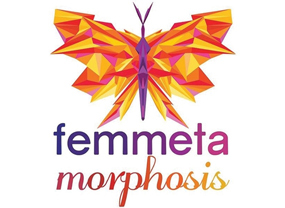 The Femmetamorphosis (Edinburgh Fringe, 2015) a new play written by actress/writer Sharron Spice. The comic-drama looks at the transformation of several women during a lingerie party performed by Elicit Theatre Company. Based around a group of young women from different social classes and backgrounds. The Femmetamorphosis explores the lingerie party,attitudes and friendships formed witha mix of laughs, farce and drama. Sharron Spice who created Elicit Theatre Company, a co-operative whose sole mission is to bring diversity to the stage. With a mission statement to create powerful roles for women, particularly women of colour, that shy away from the traditional roles (single mother, criminal, maid) which are often attributed to actors of colour and is in support of the ‘Act For Change’ movement. Sharron Spice is also a youth worker, mentor, anti-gun, knife and domestic violence campaigner.